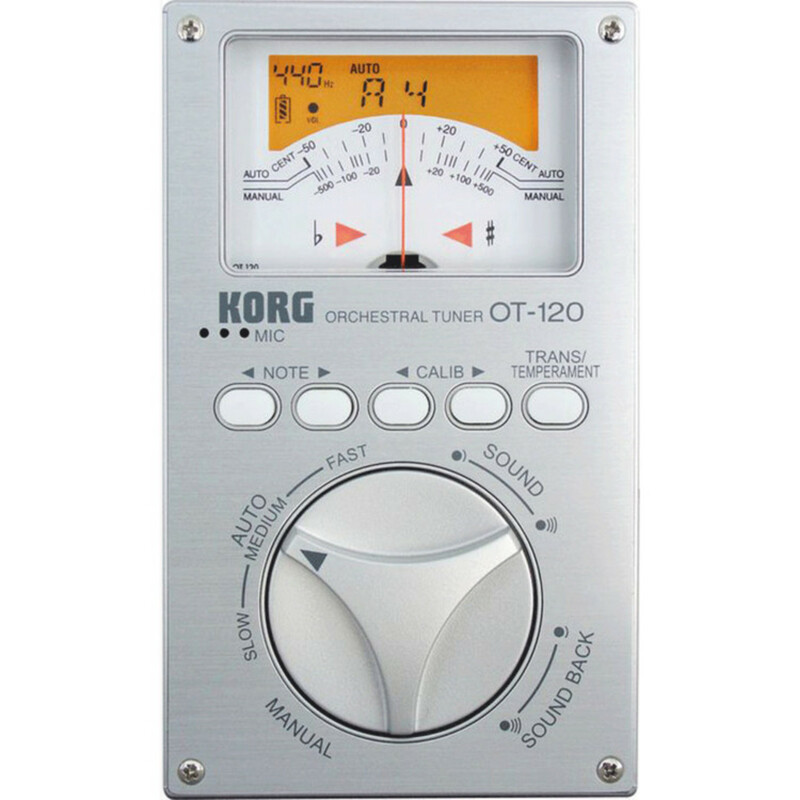 The Korg OT-120 helps you tune the full range of orchestral instruments - including piano, harp, xylophone, tuned percussion, strings, woodwinds and horns. The Korg OT-120 chromatic band and orchestral tuner is designed specially for orchestral instruments and has a sleek, vertical design that is pleasing to hold and operate. 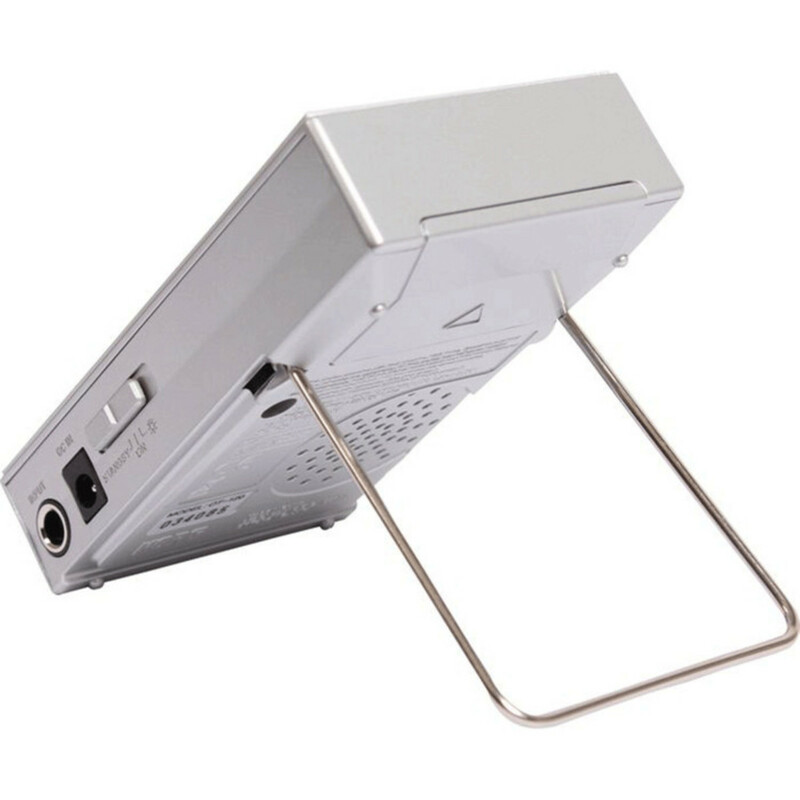 The OT-120 lets you quickly tune any type of band instrument including, orchestra, wind, string, brass or piano with its wide tuning range extending from A0 to C8. 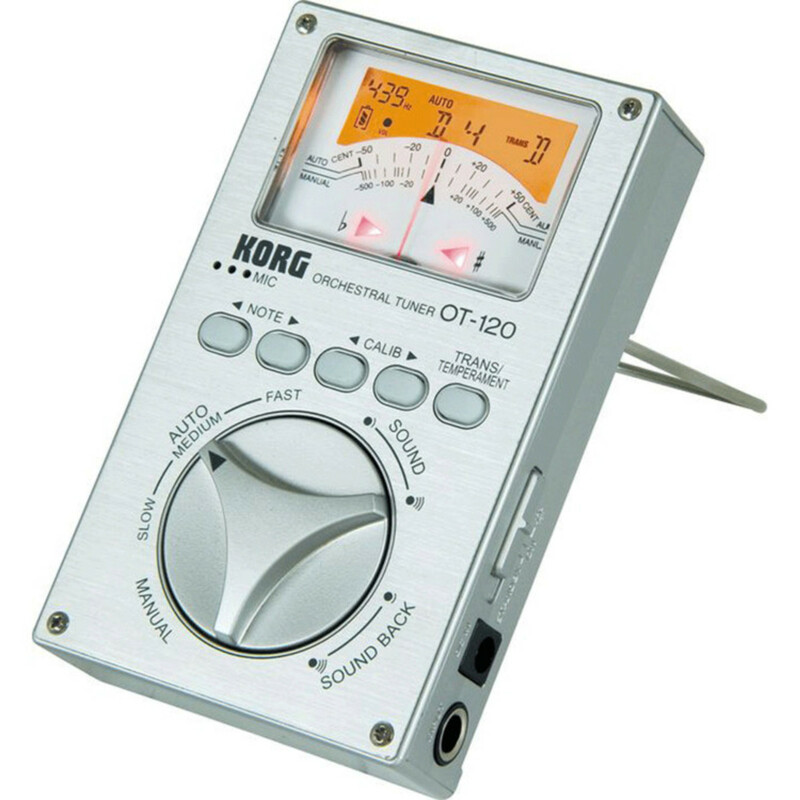 The Korg OT-120 provides a wide range of calibration to support concert pitches in a range of 349-499 Hz (1 Hz steps). The needle response speed can be changed over a range of three steps; you can choose fast, medium or slow speeds to match your tuning preference. Choose from two tuning modes; Auto mode, which automatically detects the pitch of a single note you play on your instrument, or Manual mode, which lets you specify the desired note name. 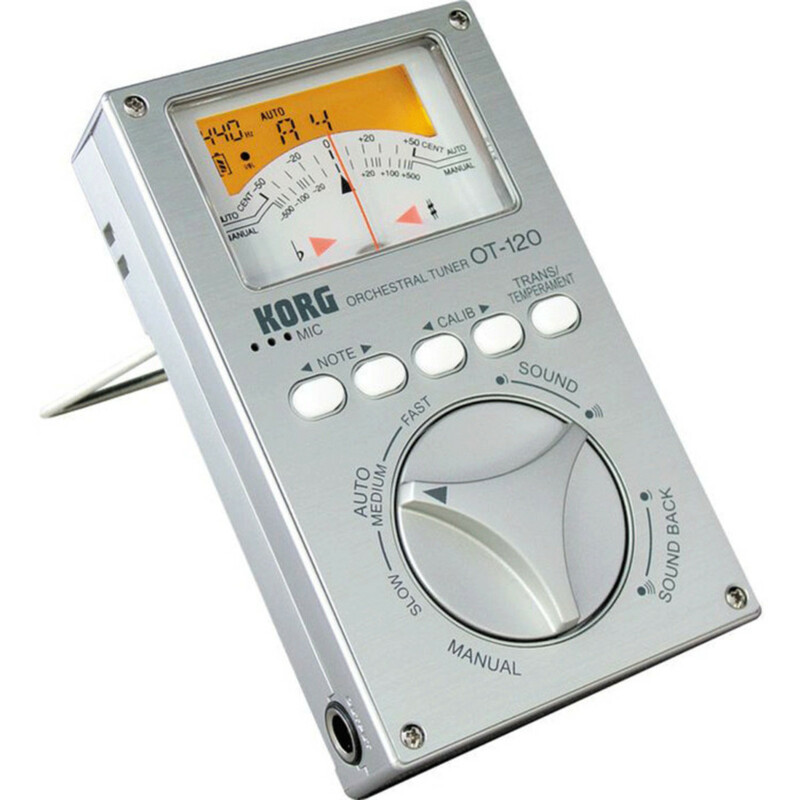 The OT-120 also provides Korg's proprietary Sound Back mode. Sound Back mode lets you connect an optional CM-100L contact microphone to the input jack, and automatically make the OT-120's speaker produce a reference tone for the note that is closest to the input pitch you play on your instrument. The meter will also indicate the input pitch, letting you tune using your eyes as well as your ears for greater accuracy--and also providing a great way to train your sense of pitch. Twelve types of transposing keys are provided in this band and orchestral tuner, including both sharps and flats. The Multi Temperament function provides eight presets that cover the most popular historical temperaments often used with period instruments. These are also ideal for checking unique temperaments used in classical music.